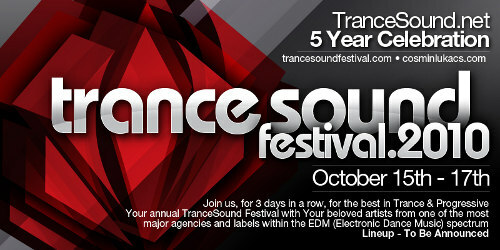 The annual TranceSound Festival will be taking place this Friday, Saturday, and Sunday to celebrate 5 years of TranceSound.net. Party107 will be airing over 45 hours of this massive event this weekend starting Friday at 12:00 AM Eastern / 10:00 PM Pacific (Thursday) / 06:00 CET / 05:00 UK! 6:00 AM Eastern - Alex M.O.R.P.H.